Do you know Mayer Lutheran’s mission statement? During the high school’s last accreditation cycle, the visiting team found that our mission statement is very well known in our community. In case you are in the group of people who might be drawing a blank, our mission is: Preparing the Next Generation of Christian Leaders. If asked what this mission statement means, would you have an answer? We want you to understand our mission. It is tempting to focus in on the word ‘leaders’ when trying to understand the mission. Focusing here could lead you to believe our mission is about creating successful adults as defined by the world—business owners, CEO’s, Chief Financial Officers, and so on. 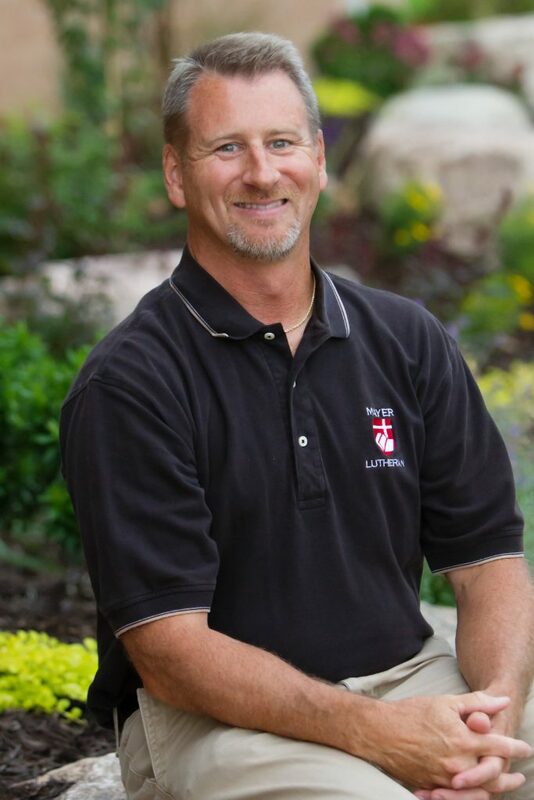 Though some alumni have ascended to what some might consider to be elite levels in their careers, Mayer Lutheran’s mission is not to focus on creating leaders defined by a worldly perspective on power and position. Our belief is that everyone is called to be a Christian leader. What does it mean to be Preparing the Next Generation of Christian Leaders? Mayer Lutheran focuses on the word ‘Christian’ in our mission statement. There is nothing more important than assisting each student, by the power of the Holy Spirit working through the Word and encouragement provided by faculty, staff, parents, and peers, to grow in their personal faith in Jesus Christ as their Lord and Savior. The first and most important part of accomplishing the mission is a personal, faith-filled, saving relationship with Jesus Christ. For students who do not have this relationship when they begin at Mayer Lutheran, they regularly hear the proclamation of the Gospel, have the Word of God explained to them, and are surrounded by prayers spoken by followers of Jesus. We know and trust that the Holy Spirit is at work in the hearts of all of our students, strengthening and building saving faith in Jesus. As Christians, we are called to be leaders because of the understanding that we have been commissioned to make disciples of all nations. Each student, faculty member, and staff is called to share the Gospel of Jesus Christ with those who haven’t heard it or not taken it to heart. Our community is called to encourage one another, pray for each other, and to always be mindful that our lives are a testimony to the faith in Jesus that exists. We do this in response to the saving work of Christ, in gratitude for the forgiveness of sins and the righteousness of Christ that we receive, knowing that Jesus has already prepared our place in heaven. No one who believes in Jesus as Savior is exempt from this calling to lead others to Him through the example that we set in word and deed. It is this understanding and call to action that we pray our students will faithfully understand and live out. Christians are meant to be in community together. We gather as members of congregations, with fellow believers, to learn of God through the preaching of the Word, being restored by confession and absolution, and strengthened for the leading of faithful lives. Mayer Lutheran strives to build this understanding in our students so that when they leave our hallways and their homes, they will make developing their faith a priority, attend worship consistently, and participate in the sacraments. Mayer Lutheran students and all Christians have been given gifts and talents that are to be used to accomplish the Great Commission. Just as Christ humbled himself by becoming a man and then suffered and died to redeem us all, we too, as Christian leaders, humble ourselves in service to God and others, so that the Holy Spirit can work through us to work saving faith in others. lead lives of integrity and joyfully serve one another so that their very lives point others to Jesus. As believers in Christ, I pray that we are all Christian leaders.